OMG! TEH WOMENZ!! THEY GAME!!! Being someone of the female persuasion, of course I had to check this article out. I read it, re-read it, and face-palmed (appropriately on Captain Picard Day, I might add). OK, CNN writers–just where the hell have you been for the last, oh, 40-ish years? I probably was gaming before half of you were even born. 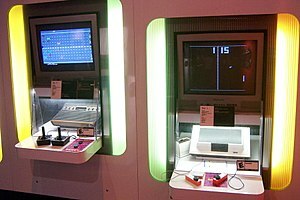 My dad and I played Cat and Mouse on the Magnavox Odyssey. I played Pong with my aunt when it first came out. The Pac-Man game at the arcade ate a ton of my quarters along with my time. I shot up millions of Asteroids and a few thousand AT-ATs in The Empire Strikes Back game on the Atari 2600. I play games on multiple platforms now. If it’s fun, I play it. If it’s great, I play it for years. I still play Star Wars: Knights of the Old Republic (KOTOR) for Jolee Bindo one-liners. I play Star Trek Online with my son. My dad, kids, hubby, and I all play Beatles Rock Band together–can’t beat three-generation gaming. My daughter and I trade Pokemon. All of us in my family are going to be playing Star Wars: The Old Republic when it comes out. Lest CNN and others who are ‘speedbumps on the Clue Highway’ think that I am an aberration in the female gamer category, Hubby and I quest through Tyria, Cantha, and Elona in Guild Wars, along with our guildmates in The Lost Haven–many of whom are female! I’ve shot down my share of orcs in Neverwinter Nights (NWN) 1 and 2 and LOTRO, all while gaming with other women. I’ve installed mods for NWN 1 and 2, KOTOR 1 and 2, Dragon Age, Vampire the Masquerade: Bloodlines, and Mass Effect–many of which were created by–shock, horror, FEMALES. Even more–we talk, write, and tweet about gaming. Trusty Friend leXX and I podcasted for 2 years about gaming on LucasCast, and share about different games regularly in forum posts and tweets. Several women host the podcast ‘Corellian Run Radio‘. Trusty Friends NEligahn, Ellif, and I are working on the Crossed Lightsabers podcast. There are any number of women writing for gaming websites and magazines. I’m certainly not the only female gamer who blogs, either. Welcome to the 21st century, CNN. Glad you made it out of your mom’s basement to discover that we gals have been upstairs for years, XBox controllers or Orochi gaming mice in hand, fragging VC in Call of Duty: Black Ops or slicing and dicing the bosses in Fallout: New Vegas and Red Dead Redemption. I’ll even share my controller with you if you promise to quit being so idiotically surprised that women actually game. Try and keep up with us, boys. We women aren’t going to hold back on our leet gaming skillz for you. 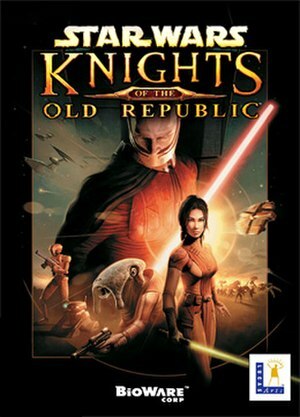 I received an email today with a coupon code for 25% off of Bioware’s game, Star Wars: Knights of the Old Republic, at the Direct2Drive site. How do you do this? Register on the TOR forum and sign up for the TOR newsletter before September 15th. Check your email and you should find it in your inbox today. Even at the full price of $9.95 at Direct2Drive, the game is a steal, but saving a few bucks is even better. Perhaps they’ll extend this for new forum members? 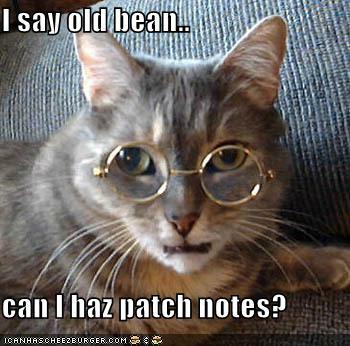 What I’d love to have, though, is a code for the beta of TOR. That would be seriously cool.